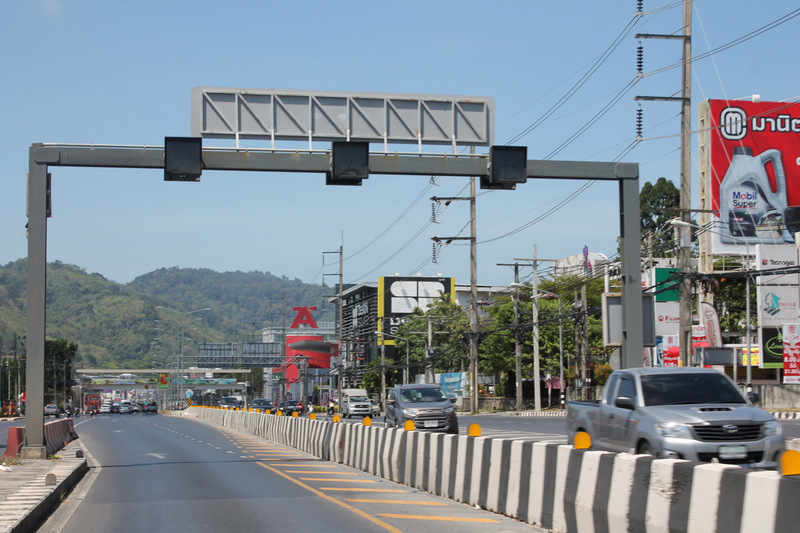 PHUKET: The Phuket office of the Highways Department has finally recognised that the traffic-flow direction lights above the southern end of the Darasamut Underpass are incorrect and have promised that the lights will be corrected next week – but not without holding a meeting with the contractor Italian-Thai Development Co Ltd first. However, the errant traffic-flow lights at the southern end of the tunnel as of today (Feb 27) remain uncorrected, while the lane lights above the northern entrance to the tunnel were not working at all. 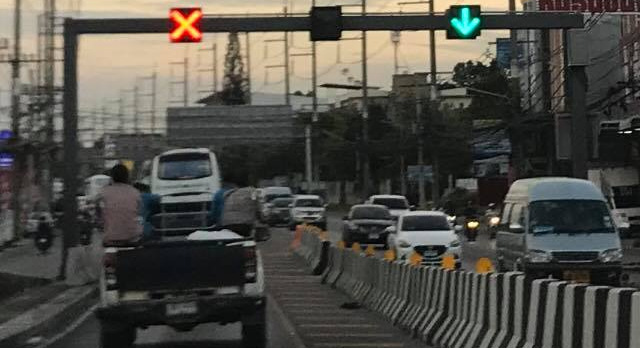 Regardless, electrical technician Warakorn Jawana told The Phuket News this morning (Feb 27), “The works carried out on Friday (Feb 23) by the construction firm Italian-Thai Development (ITD) were focused on the signal lights and the entry and exit. 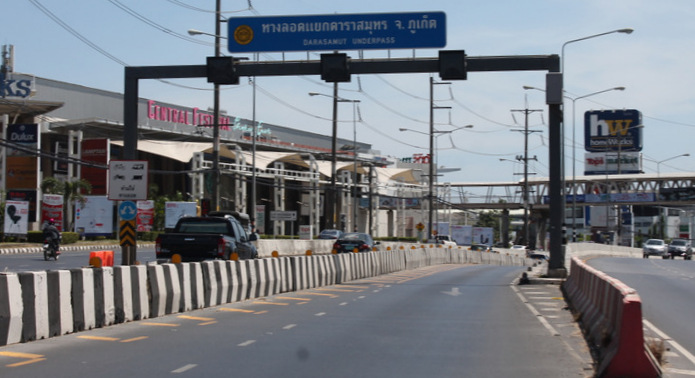 However, Mr Warakorn did confirm that the lane lights will be fixed during the next tunnel closure for maintenance. During the same closure, workers will conduct further repairs to the lights inside the tunnel and the drainage system. “They are in the process of buying new light bulbs and other materials to repair the inside tunnel lights, the entry and exit lights and do some maintenance on the drainage system. Hopefully this will all be done in one go to reduce the disruption to people,” Mr Warakorn said. “We will let the media know again after the meeting,” he said. Premchai will be present to hunt all rats responsable of damages in the cable system. Incompetent... no more to be said.